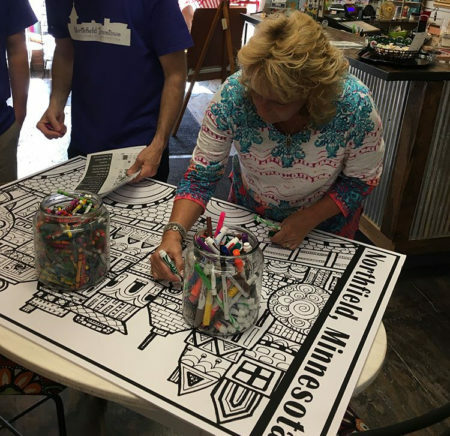 First Friday Art Nights are a popular celebration in many communities–from Phoenix to Boston to Kansas City. 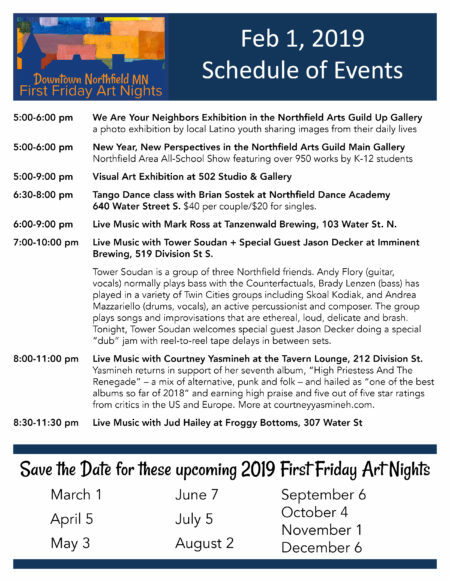 We’re bringing this monthly art experience to Downtown Northfield! The fun will continue on the first Friday of each month. 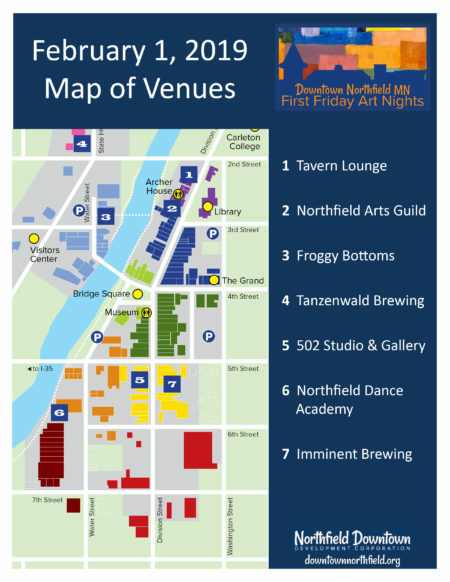 As you walk through our historic downtown, you’ll encounter art of all kinds–everything from visual art exhibits at the Northfield Arts Guild to ballroom dance lessons in the NDA studio and live music at Imminent Brewing. Mark your calendars now for this FREE event! Check out the full lineup on the printable map and schedule below. Are you an artist who would like to participate? Email jenni@nddc.org. Coming from out of town? Stay overnight and enjoy the Riverwalk Market Fair on Saturday morning! Do you love the arts and want to help make this event possible with a tax-deductible sponsorship? Email jenni@nddc.org or donate online using the Give MN icon on the right sidebar. 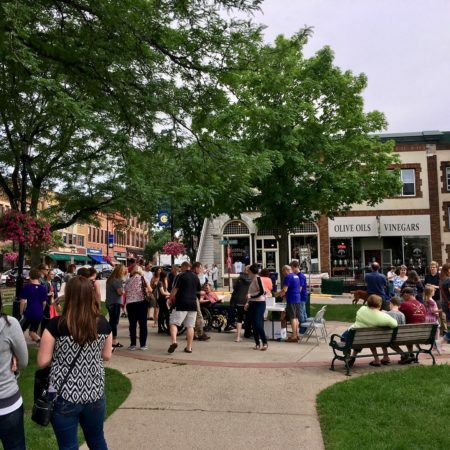 Everyone had a great time at the Downtown Northfield Taste Tour on Thursday evening, June 21 from 5-8 pm. 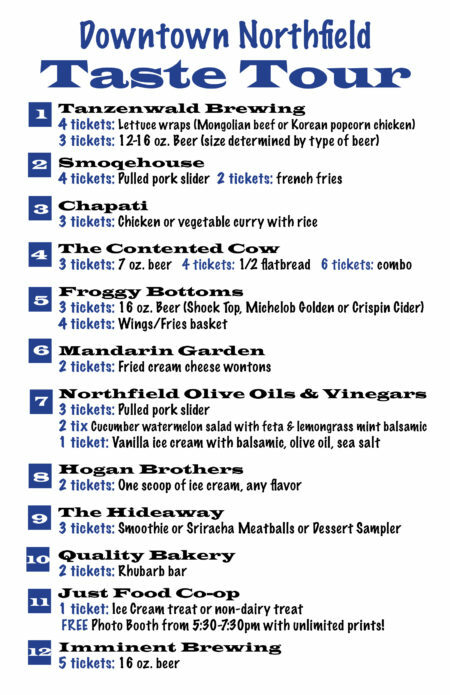 In 2017, at our first annual food crawl event, hundreds of people savored and sipped their way through downtown, enjoying food and drinks at 12 different locations. In 2018 we made it longer, added beer and sold advance tickets. 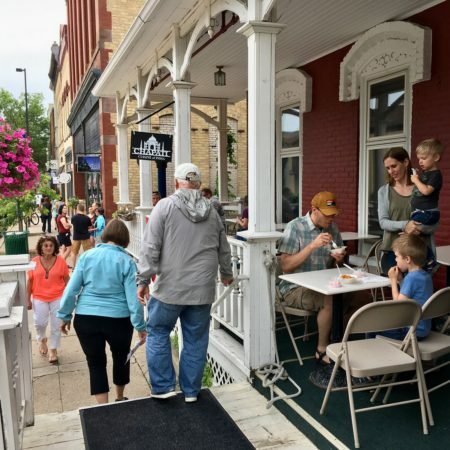 The lineup for 2018 was: Chapati, The Contented Cow, Froggy Bottoms, The Hideaway, Hogan Brothers, Imminent Brewing, Just Food Co-op, Mandarin Garden, Northfield Olive Oils & Vinegars, Quality Bakery, Smoqehouse and Tanzenwald Brewing. 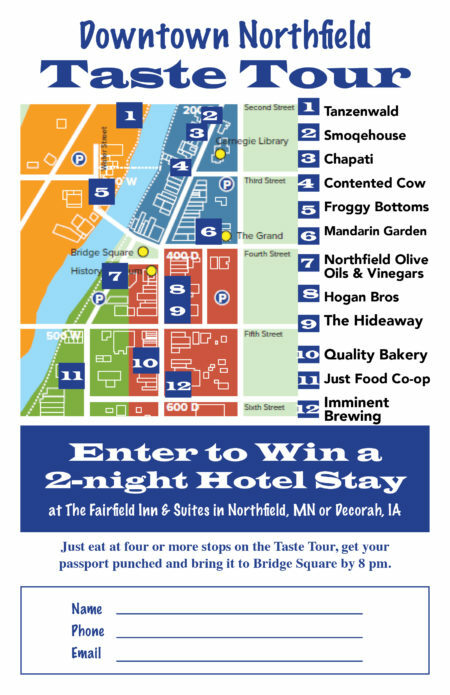 Those who ate at four or more stops on the Taste Tour entered to win a 2-night stay at the Fairfield Inn & Suites in Decorah, IA or the new Fairfield Inn & Suites Northfield, opening in early September. Congrats to our big winner, Karen Roback! And thanks to Rebound Hospitality for donating this amazing prize. Save the date for June 20, 2019!